Prince wasn't just an incredible musician -- he was a visionary that defined pop music for decades. His sexualized dance moves, flamboyant personality and party anthems will go down in history as some of the best. Prince's catalog of hits soared to the top of the charts regularly and he'll always be remembered for his guitar solos and forward-thinking music. Following his passing at the age of 57 on Thursday, April 21, we're taking a look back at some of his biggest hits. Who could ever forget the opener, "Dearly beloved we are gathered here today to get through this thing called life." Then it takes off to a guitar, slinging rock, pop powerhouse that can bring down any house. "Oh no let's go!" The song soared to No. 1 and appeared on the "Purple Rain" album. It's easily one of his most memorable power ballads and it's a 7-minute ode to heartbreak and what happens when a friendship turns into something more. The title track from his 1984 film of the same name features one of the most memorable guitar solos of all time. The song is not only one of Prince's biggest hits, it also went down in history of one of Julia Roberts' most-famous moments in film since she sang the jam, naked in a bathtub in "Pretty Woman." "Kiss" slayed the charts and took a No. 1 spot in 1986. It was featured on his album "Parade" and the lyrics are some of his most memorable ... "You don't have to be rich to be my girl, you don't have to be cool to rule my world, ain't no particular sign I'm more compatible with I just want your extra time and your Kiss, Oh oh." The 1985 hit soared all the way to No. 2 on the Billboard charts and follows the story of a girl who "wore a Raspberry beret ...the kind you find in a second hand store" and not much else and a man who definitely was fond of her. The lyrics of "Little Red Corvette" are hard to forget so it's not a huge surprise that the song was one of his biggest chart-winners off of "1999." The sultry and smooth tune was the kind that you could sway your hips to. The raunchy song scored a No. 1 on the charts in 1991 and featured lyrics like, "Cause you got the burnin' desire It's your time (Time) You got the horn so why don't you blow it You are fine (Fine) You're filthy cute and baby you know it." You get the gist. More than a decade before the millennium and the year 2000, Prince was prepping for the big year with a catchy tune about how he saw the future of the world. Prince saw the world as a purple-skied, post-apocalypse environment and he made sure he was going to take on Y2K with a bang. The song also was his longest-charting Hot 100 hit, with 28 weeks on the weekly tally in three separate chart runs. 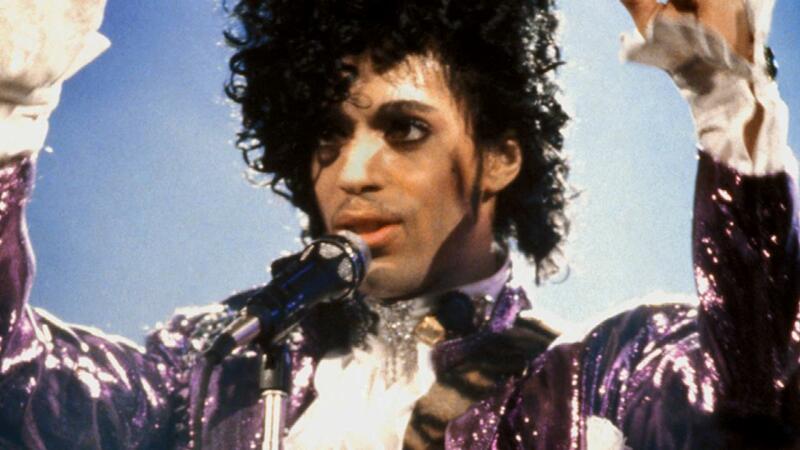 The 1989 hit closed out the decade for Prince and was the feature song for the summer blockbuster, "Batman." The jam featured voice overs from The Joker and was insanely catchy as it swayed seamlessly through multiple musical genres from pop to funk. Another hit from the "Purple Rain" soundtrack that led the Hot 100's top spot for for five weeks. It rules as his longest-running No. 1. The 1984 hit carried a killer beat and insane guitar leading to a groove that was a total standout. Before the night is through, You will see my point of view, Even if I have to scream and shout, Baby, I'm a star."